Your downtown neighborhood shipping, packaging, moving supplies, & copying center. Free drop offs for. . ..
Have your own universal street address. Unlike a box at the Post Office®, your address with Galveston Pack & Ship is not just for U.S. Mail®! UPS, FedEx, DHL, Lone Star Overnight, etc., also deliver to our boxes! Have your own secure, private mailbox with 24/7 access. There are two sized boxes to choose from. Choose the size which best suits your regular volume (not occasional package size). 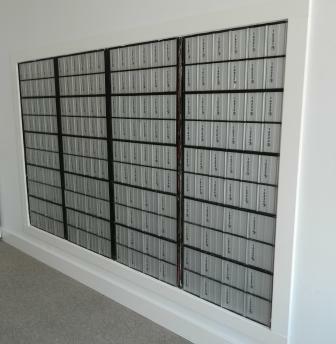 We will accept almost ANY size package from ANY courier for ANY size mailbox. If the package or parcel is too large for the box, a notice will be placed in your box and you can call for your item at the counter, during our business hours, 7 days a week. All packages are stored in a safe location. All mail is kept private and secure. New - Virtual Mailboxes. Virtual Mailboxes are mail boxes that are available during our normal working hours. The boxes are located behind the counter and not accessible to the public. Perfect for those who don't need the 24/7 access. Come in and find out about our rates. Running a home business, or e-business? With one of our private mailboxes, someone is there to receive your mail, parcels, and packages every day. No more waiting at home for the "overnight letter" before you start running errands. Get your stuff when it is convenient for you. Need a temporary "blind" box for a job posting? Traveling briefly, or constantly? Staying out of town for an extended period? We can provide a single permanent address for all your correspondence, and then forward it where, and when you wish (daily, weekly, monthly--you name it). Your instructions to us can be changed at your convenience by phone, fax, or e-mail. Galveston Pack & Ship is a private packaging and shipping company. We are not affiliated with the United States Postal Service®. .